The world learned last night of the untimely death of Apple mastermind Steve Jobs, who succumbed to a rare cancer he had been fighting for some time. 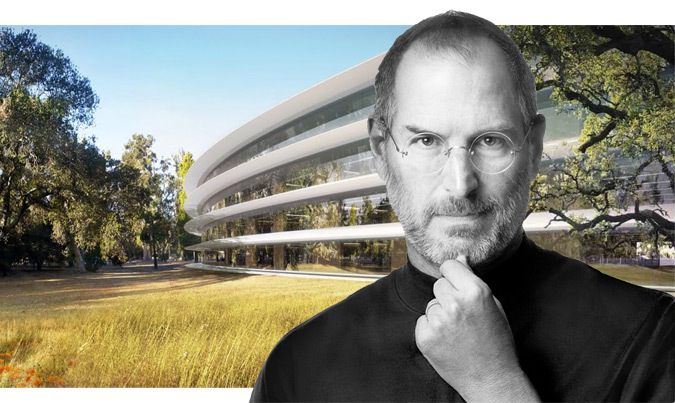 Jobs’ architect, Norman Foster, was slow to acknowledge the commission of Apple’s new Cupertino, CA headquarters, but he was appropriately quick to offer his condolences. Below, read Foster’s tribute to the innovator who helped push the boundaries of both technology and industrial design. With my colleagues I would like to pay tribute to Steve Jobs. Like so many millions our lives have been profoundly and positively influenced by the innovations pioneered by Steve and Apple, names which are inseparable. We were greatly privileged to know Steve as a person, as a friend and in every way so much more than a client. Steve was an inspiration and a role model. He encouraged us to develop new ways of looking at design to reflect his unique ability to weave backwards and forwards between brand strategy and the minutiae of the tiniest of internal fittings. For him no detail was small in its significance and he would be simultaneously questioning the headlines of our project together whilst he delved into its fine print. He was the ultimate perfectionist and demanded of himself as he demanded of others. We are better as individuals and certainly wiser as architects through the experience of the last two years and more of working for him. His participation was so intense and creative that our memory will be that of working with one of the truly great designers and mentors.